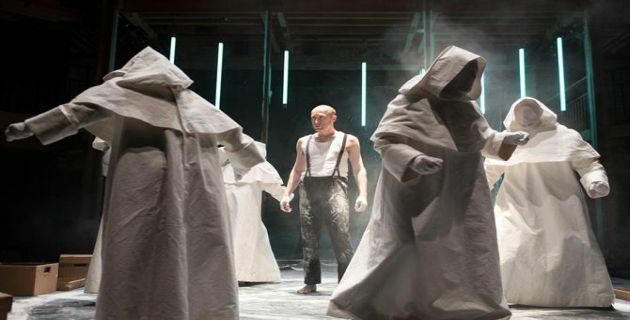 Written by Christopher Marlowe, a contemporary of Shakespeare, Doctor Faustus, opened at the Swan Theatre in February 2016. Marlowe’s notorious tale of vanity, greed and damnation was the first dramatised version of the Faust legend in which a scholar makes a pact with Mephistopheles in order to have 24 years of absolute knowledge and understanding along with the fame and power it will bring. Doctor Faustus signs the deal in blood, but as he begins to revel in his new powers, the world starts to crumble around him. Sandy Grierson and Oliver Ryan are sharing the roles of the embittered academic Faustus and the demon Mephistopheles, alternating the parts at each performance. When can I see Doctor Faustus?